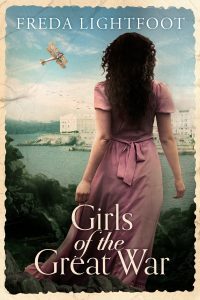 I’m currently organising a blog tour for Freda Lightfoot with her historical fiction novel, Girls of the Great War. Girls of the Great War will be published on 22nd May, and is available for pre-order at Amazon UK and Amazon US. The tour runs from 28th May – 8th June (weekdays only). I’m looking for ten blogs which will host guest blogs or interviews. A Netgalley link is also available for those wishing to review.